Not very heavy material but the price is good. They fit my 2016 Regular cab F150 without any issues. After a few winter months, I have come to the conclusion that these mats are not good at keeping melted water in. They allow the water to run down the edge by the door and get under the sill and carpet. Downgrading to 3 stars for lack of water retention. 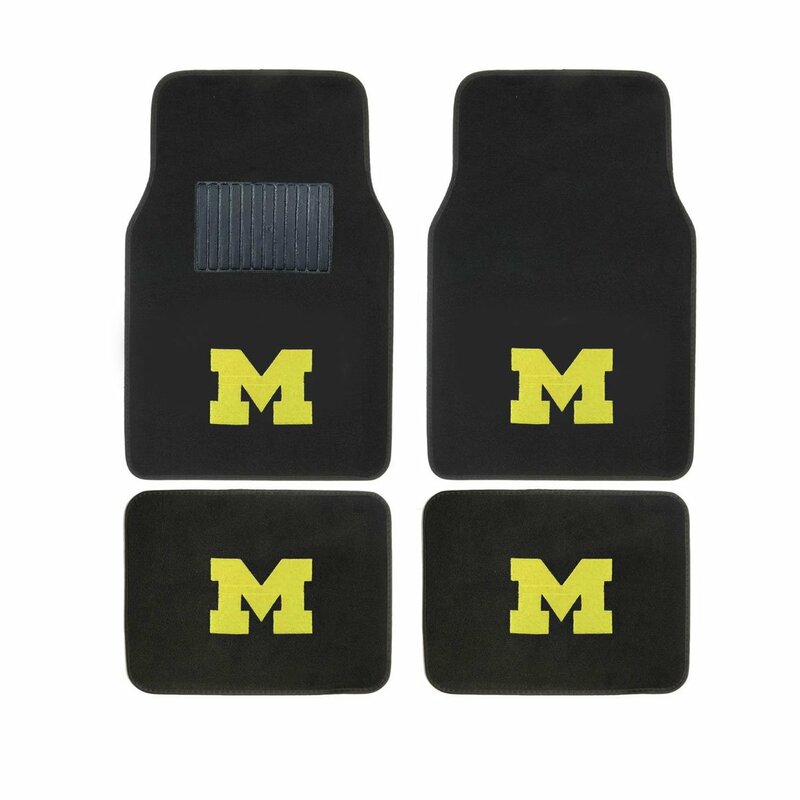 I thought I would try these, since I wanted quality full molded floor mats. I have tried Husky in our company trucks(for heavy highway construction) and found those to absolutely useless, all 9 trucks ending in the same result. I then moved on to WeatherTech. I Loved those, they lasted, held up, fit good and stayed fitting good. 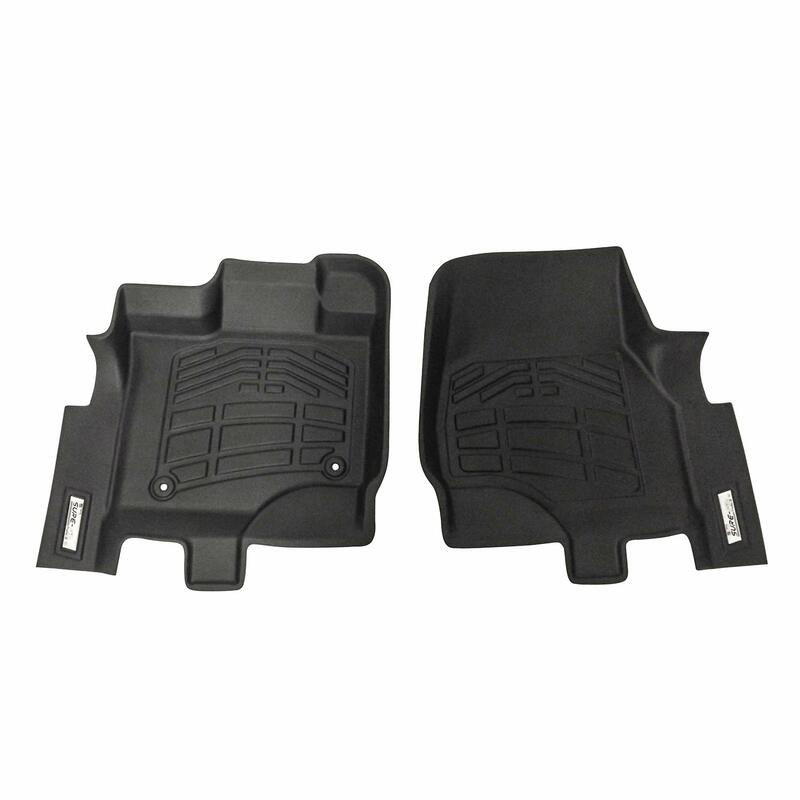 I needed a set for my personal vehicle, but didn't want to pay the price for Weathertech, as I feel even though it is a quality product, they are way over priced. reading reviews on the Wade floor mats, people claiming that the Wade were better than the WeatherTechs. I decided to try them, as they had a fair price. I received mine, and the first thing I noticed is that the Velcro pieces that you stick to the floor, had the release paper off to one side leaving a little area of exposed adhesive on the edge of the Velcro. Each floor mat is wrapped in plastic, and the plastic is stuck to the adhesive. The plastic would not separate from the adhesive. That leaves the edge on the velco covered with a piece of plastic and thus the edge of the Velcro does to adhere to the sill plate. It ended up not sticking and I had to get a new piece of Velcro. The second thing, the drivers side "Wade" logo/decal was installed onto the floor mat backwards, and not quite centered. I had to remove the decal and turn it around. After removing it, the decal will probably not stay in place, we will see. The fit as far as molding to the floor board is good. The fit around the kick panels on both driver and passenger is not so great, there is a 3/8 inch gap. These floor mats do go under the brake pedal and gas pedal, unlike some, including the Comparable Ford ones. However, there are other models that go higher, which I would like to have seen. These floor mats do NOT fully cover the foot rest pad on the drivers side far left by the kick panel. Why would you not fully cover, where you would put you feet, at least where your feet were intended to rest. I am not to impressed with the thickness of the mat. The Weathertech are deffinatly heavier built and thicker plastic. These are not that heavy and or thick. I have my doubts of them holding up. The weight of your feet in comparison to the durability do not hold up, thus just you feet resting have the ability to distort these mats. I don't think I would recommend them, however they are not the worst I have seen. Time will tell the durability. 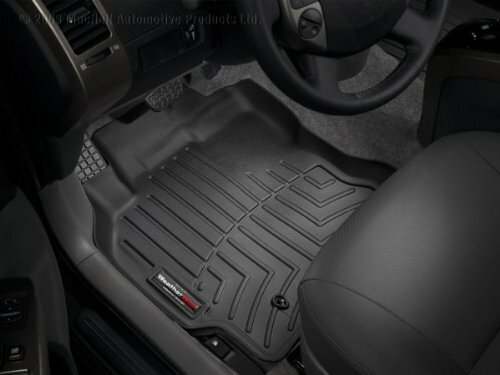 If you are willing to spend the money buy the WeatherTech, if you want a decent floor mat but not the price of WeatherTech then these might OK for you. Depending on were you buy them, there might not be much of a price difference, if that is the case, a no brainer. I would have given them a 3 star, but the decal/logo being on backwards, and the Velcro adhesive/packaging issue, How did this pass the QA (Quality Assurance). Either the QA is bad, or that is the standard of quality they expect. ??? I always had carpeted mats in my truck. So I gave this a try. come to find out, I love them. it's nice not a vacume the truck no more. Nice fit. A little confusing about getting the correct fit. Picture might not be exact item. 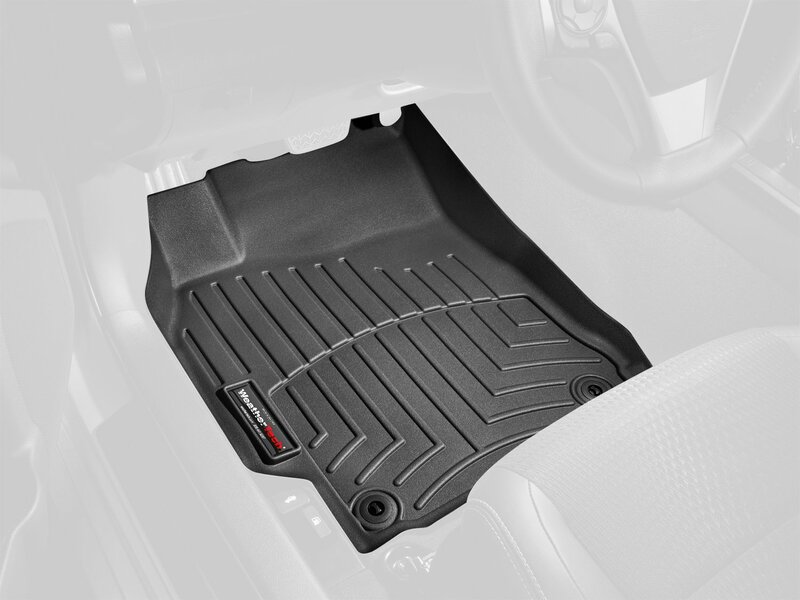 After having several sets of WeatherTec floor liners, I was very disappointed in my last set for a 2015 Ford Fusion, the fit was not what I expected for the price. So when I looked at options for my 2016 F-150, I decided to try the Wade brand and I am extremely happy! The fit is great front & back! I purchased these for my 2016 F150 and they absolutely outperform Weather-Tech by a mile! Exactly what I wanted! Excellent fit as for the molded part, the driver's side slides around should have come with something to secure it with. Perfect fit, well made! Great price.